The Crunchyroll streaming library already exceeds a staggering twelve-hundred titles (adding up to tens of thousands of episodes) and over a hundred live-action series. They recently scooped up the licenses for a bunch of full-length movies and glittering golden oldies. 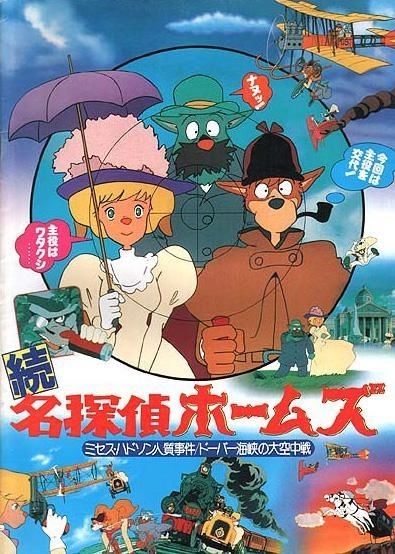 Sherlock Hound features some of Hayao Miyazaki's earliest work. As you might surmise from the title, in this version, Sherlock Holmes is a dog. And so is everybody else. Lots of fun. I reviewed the series here. Patema Inverted and King of Thorn explore the unreliability of human perspective. I reviewed the former here. 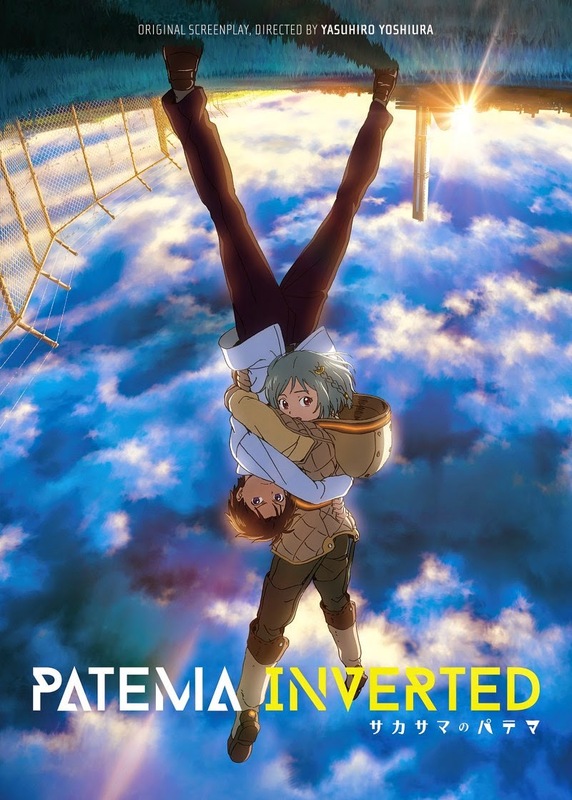 Patema Inverted literally asks which way is up. King of Thorn wonders if really you know what time it is. Both require mighty suspensions of disbelief to get past the premises. But there's tons of material for anybody who enjoys musing about philosophical what-ifs. In terms of narrative structure, King of Thorn reminded me of the "No Reason" episode of House. Crunchyroll doesn't yet have the 3DCG Appleseed movies but it does have the 3DCG Vexille, a pastiche of every post-apocalyptic, mecha, and military anime series ever made. Watch it as a work of social commentary rather than for its dubious cinematic merits. I reviewed it here. Voices of a Distant Star is Makoto Shinkai's brilliant debut film (and the best version of Ender's Game that isn't Ender's Game). I reviewed it here. I didn't much care for 5 Centimeters per Second, but it is the most beautiful teen soap opera ever made. Welcome to the Space Show takes a gang of kids from rural Japan on an Art Deco roller coaster ride through a fractious galactic empire ruled by a reality TV show host. As the title suggests, it's a dazzling and hilarious trek through the stars. Night on the Galactic Railroad is based on the fantasy novel by Kenji Miyazawa, an agronomist and social activist who died in 1933 at the age of thirty-seven. Little known for his poetry and fiction in his lifetime, he is now considered one of Japan's great literary figures. 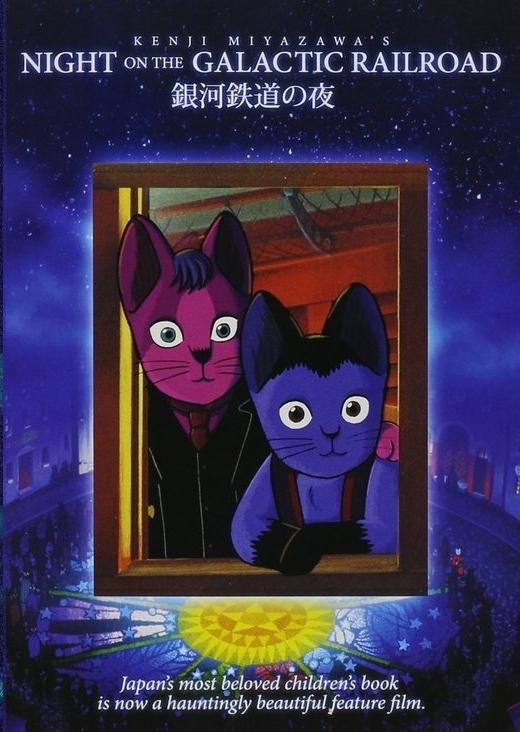 Night on the Galactic Railroad inspired Leiji Matsumoto's anime classic Galaxy Express 999. This morally complex work of science fiction won the Shogakukan Manga Award in 1978 and the Animage Anime Grand Prix prize in 1981.